In the new world of investing, money managers must deal with a variety of dynamics, products, analyses, and risk controls. They are also expected to achieve above-benchmark performance and profits, also known as alpha, as well as protect capital in the process. This can be difficult to achieve in today's turbulent market environment, but with Increasing Alpha with Options, author Scott Fullman, the Director of Derivative Investment Strategy for WJB Capital Group, offers some solid solutions. Written in a straightforward and accessible style, this reliable resource outlines various trading strategies using a combination of technical analysis, market indicators, and options. Along the way, it skillfully details how these analytical techniques can help you capture profits while also protecting positions from adverse market conditions. 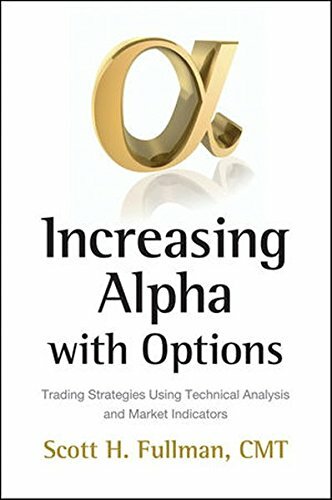 Filled with in-depth insights and expert advice, Increasing Alpha with Options will quickly familiarize you with everything from the various elements of technical analysis to leveraging the power of options, and show you how applying these tools and techniques to your trading or investing endeavors can improve overall performance.